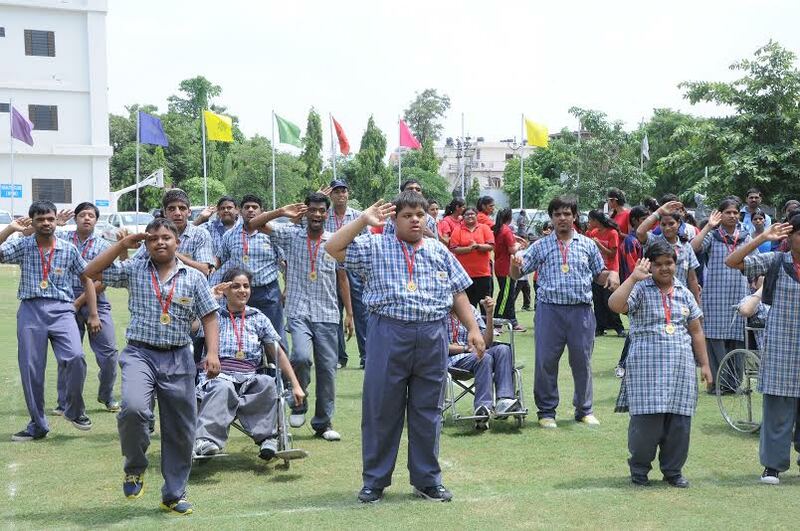 The IIS University celebrates National Sports day with special children on Friday. The Equal Opportunity Cell, Sports Board and National Service Scheme units of The IIS University organized a Para Sports Meet where almost 100 special children from Umang and Disha schools were present. Dr. Ashok Gupta, Vice-Chancellor of The IIS University delivered a motivating welcome note and said that they are no way less than a normal child and the level of energy and enthusiasm that they got cannot be compared with any other child. Also, Dr. Gupta declared that the university is taking this initiative to another level and is going to celebrate sports day with these children every year. 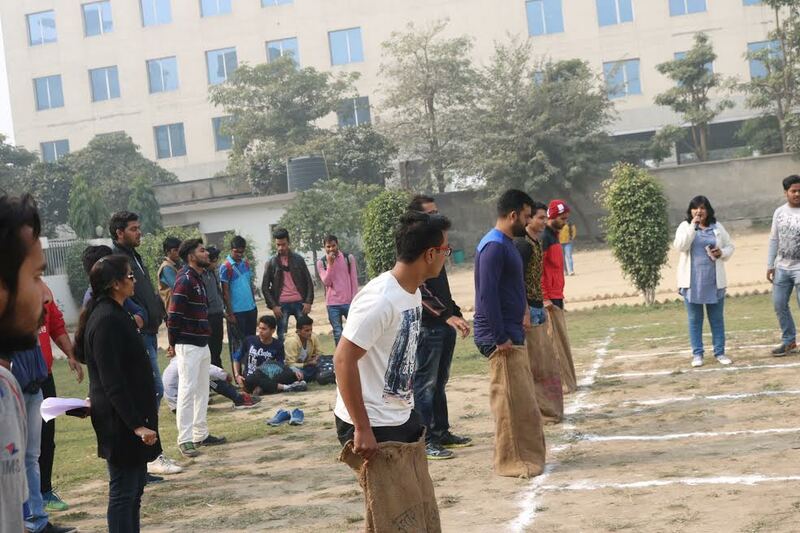 During this meet, various sports activities like carrom, ball throw, lemon and spoon race, needle and thread race, tug of war etc were held which was smoothly conducted with the help of NSS and sports volunteers of the university. The children were shining with a smile on their faces. The dance performance on Chak De India stole the event and left everyone mesmerized. The efforts made by these children were enough to convey a message that people are making their lives difficult by sympathizing them rather they should help them achieving something like they do to a normal child through a little extra care and attention. A child from Umang shared his experience on the occasion and not only thanked the university for having them on campus to celebrate sports day but also appealed the government and other private institutions to hold such activities for them so that they can showcase their talent to the world. Dr. Sharad Rathore, Chief Protocol Officer, The IIS University delivered a thank you note and extended heartfelt gratitude for making this day memorable. Since all of them were the winners in one way or another, so medals were awarded to each child. Also, mementos were distributed to the teachers who accompanied the students and lending help and support to us in organizing event of such stature. It is very convenient to call people with a disability as specially abled people but does we really treat them like that? NO. Until we have not experienced the pain and sufferings what other person is going through we cannot empathise with them. 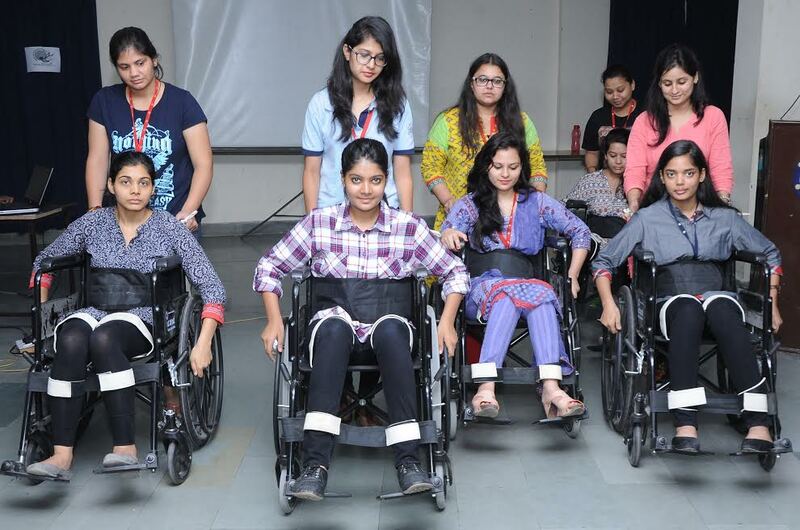 To aware, the students about the difference between sympathy and empathy Equal Opportunity Cell of The IIS University in collaboration with Jaipur-based Non-Governmental Organization Umang organised Disability Sensitization Programme on Tuesday. 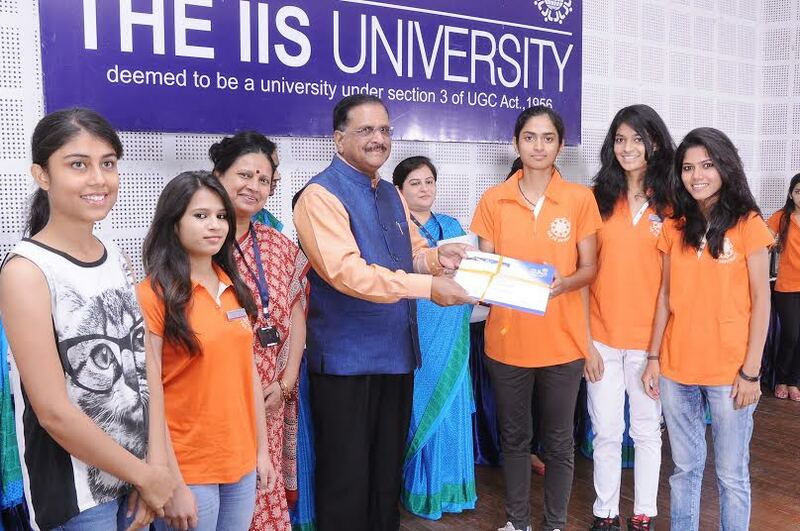 14th May 2015: Jaipur: To felicitate the achievements of the students in academics and sports activities, the IIS University has organized ‘Award Ceremony 2015’ at IIIM auditorium on Thursday. The students who grabbed second and third positions in academics, members of office bearer council and winners and runners up position holders of various sports competitions were awarded for the session 2014-2015. In total, 300 student achievers were felicitated on the occasion. 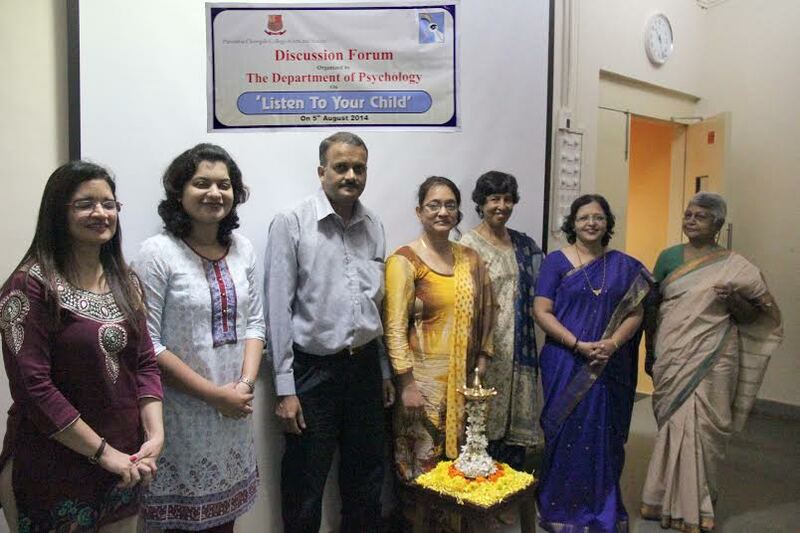 Discussion Forum on ‘Listen to Your Child’ held at Chowgule College A discussion forum on ‘Listen to Your Child’ was recently organised by the Department of Psychology, Chowgule College, Margao at their college premises. Dr. Belinda Muella, Psychiatrist, Ms. Brenda D’cruz, Principal of Manovikas School, Vishwanath Swar, Professor at M.E.S. 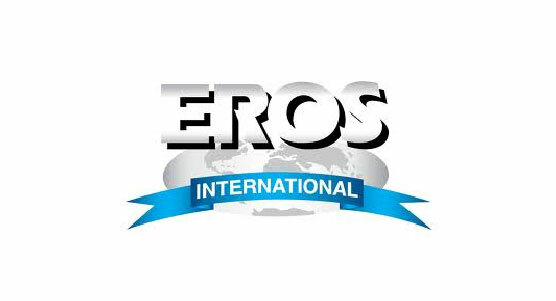 College and Advocate Prasanna Timble, Professor at Kare College, Mrs. Almeida, Former Principal of Kings School were invited as chief guests for the event.